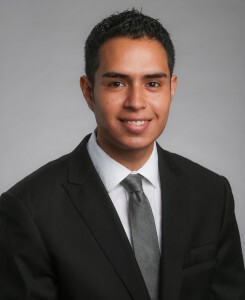 Sylvester Palacios is a Senior Account Executive and Internship Coordinator for the Austin office of Pierpont Communications, one of Texas’ largest independent communications agencies. Since joining Pierpont in 2010, Sylvester has provided public relations and marketing services for clients in a variety of sectors, including private equity, real estate, healthcare, finance, human resources, non-profits and more. Growing up in San Antonio, Sylvester is fluent in Spanish and co-leads Pierpont’s Latin communications practice, overseeing Hispanic media initiatives for several client accounts. As internship coordinator, he’s charged with recruiting the best talent for account support from universities across the U.S. and internationally. Since 2011, Sylvester has served as a public information officer for the American Red Cross of Central Texas, regularly appearing on Univision and Telemundo local affiliates to communicate the non-profit’s regional efforts. Sylvester has a bachelor’s degree in public relations and Business Foundations certificate from the University of Texas at Austin.